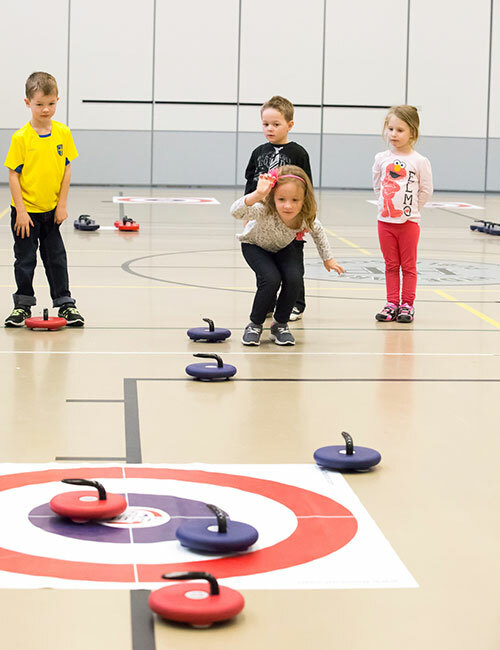 FloorCurl is the equipment of choice for the acclaimed Egg Farmers Rocks & Rings program presented by Curling Canada which visits over 1,400 schools across Canada and the USA every year! Looking for something new for gym class? A new intramural activity? FloorCurl is great for elementary through high school age kids. FloorCurl equipment has been designed and adapted to allow participants of any ability to play together on a level playing field.